A recent report by the Association of British Insurers (ABI) found that home insurance claims have the lowest success rate in the industry — 79% of claims are paid out by insurers compared to 99% of car insurance claims. According to the ABI, this is partly down to customer confusion about what is covered under a standard home insurance policy. This guide reveals the ten things you must do to get the most out of cover and make sure it’s valid in your time of need. If you’re a homeowner you need to take out buildings insurance to cover your property (if you're renting this is the responsibility of your landlord). However, if you want everything in your home to be covered, such as your personal belongings, you’ll have to take out a contents insurance policy. This can be bought alongside a buildings insurance policy or separately to cover all your prized possessions. Read our guide on buildings vs contents insurance to find out more about the differences. You might find it convenient to leave a spare key in a secret hiding place, but it’s very convenient for burglars too. Burglars know all the common hiding places, and insurers will usually not pay out if your house is burgled but there are no signs of forced entry — so make sure you're careful where you leave your spare keys. Read more here. Fire claims can be the most costly as fires can devastate homes — could you really afford to rebuild your home or buy a new one if it is completely destroyed by fire? It’s important to have smoke alarms and to check they are all working properly, both for safety and insurance reasons. If you say you have smoke alarms in your insurance application but it’s later found they are not working, your insurer may not pay out on a fire claim. Many home insurance claims were not paid out because the policyholder did not have the right type of cover. Most standard home insurance policies will cover events like fire, flooding and burglary, but will not automatically cover accidental damage (such as knocking over your TV or smashing a valuable vase). If you want your belongings to be covered for this type of incident, make sure you add accidental damage cover to your policy. Insurers will usually turn downs claims for wear and tear of items or damage caused by a lack of maintenance. Therefore it’s important to keep your home well maintained — for example if your roof is damaged in a storm but none of your neighbours’ houses received any damage, it might be clear to the insurer that your roof was in need of maintenance. Also bear in mind you cannot claim for any wear and tear — for example if a chair collapses after many years of daily use. Your insurer is covering you on the basis that you are keeping your home secure — so if you have window locks or a burglar alarm they expect you to use them. If you have a burglar alarm, keep it switched on when you leave the house or your insurer might not pay out on your claim. 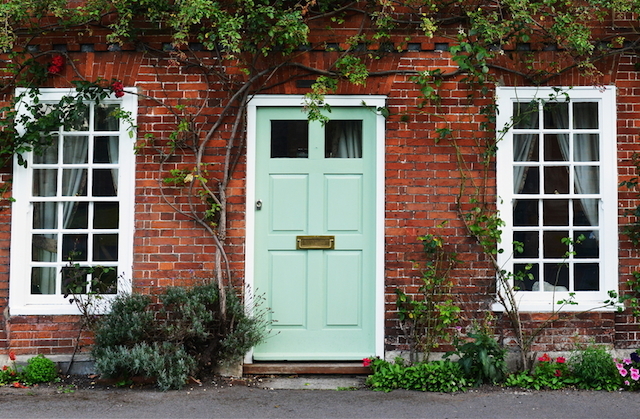 It may seem obvious, but you must always lock your front door and windows — insurers will not pay out on a burglary claim if it’s clear the house was not secure. Your insurer needs to know about any building work in case any damage occurs while it’s taking place. If you are significantly changing your house, such as adding an extension, you need to inform your insurer so they can recalculate the policy price to cover any extra rooms or new fittings. Much like accidental damage cover, some policyholders do not realise this level of cover is not automatically included in many policies. For example, if you have a laptop you regularly take out of the house, you should add an extra level of cover for your insurer to pay out if it’s lost or damaged while it’s away from home. This add-on is often known as personal possessions cover or away from home cover. It’s important to make sure your policy covers everything you expect it to — some insurers will exclude damage caused by pets, for example, or may invalidate your policy if your house is unoccupied for a certain length of time. Take a look at the details of the policy before you take it out, or if you’ve already got a policy make sure you’re familiar with its terms — dig out your paperwork or call your insurer to settle any concerns you may have. Some policyholders try to keep their premiums low by opting for a higher excess. However, many home insurance claims are turned down because the value of the claim is lower than the excess — you may only need to claim for an item that costs £100, but have opted for an excess of £200, for example. Make sure you take out a reasonable excess that you can afford in the event of a claim.